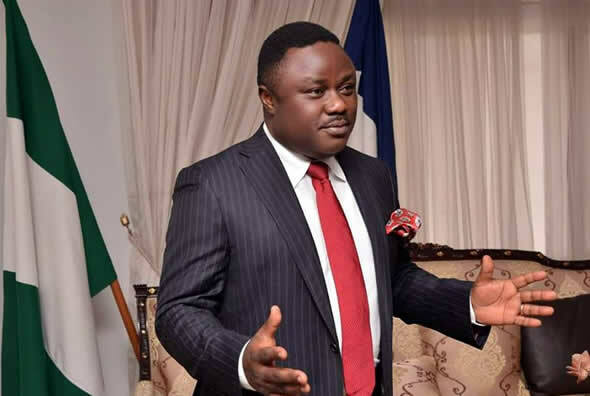 Bakassi leaders have condemned the assassination attempt on one of state Security Advisers to Cross River State Governor, Ben Ayade, Ani Essien. The Bakassi natives, who spoke in Ekpri Ikang, Headquarters of Bakasi Local Government Area, said it amounts to grave injustice to try to assassinate Essien, one of their prominent sons, who has served the state creditably. Essien, the former chairman of Bakassi, was attacked by suspected assassins in his house, located at Crosspill Estates, Off MCC Road, Calabar Municipal, at about 3:00a.m, on March 12. The gunmen, numbering about six had shot at him and inflicted machete cuts on him. But, Essien was said to have escaped through his window in a pool of blood, while the suspected assassins took off with his vehicle. However, luck ran out of the bandits when security operatives got a distress call and chased them until their car crashed at Timber Market, where one of the suspects identified as Ndifreke died at the spot. Essien is currently receiving treatment in a hospital in Calabar. Political leader of Bakassi, Ekpo-Ekpo Bassey, a member representing Bakassi State Constituency in the House of Assembly, said Essien was subjected to untold brutality with severe machete cuts and gun shots, with the intent to kill him. Bassey said: “There is no doubt that the dastardly act was designed to silence Essien for his principled stand for truth on issues concerning Bakassi politics. “After working tirelessly to deliver his party’s candidates in the just concluded elections, it would have amounted to the greatest injustice to deprive him of the fruits of his labour through an organised termination of his life. Also, Eneyo Eyo, special adviser to the Governor on Communications, said it’s not true the assassination attempt is connected with misapplication of campaign funds by the security adviser. He said Essien has served the area, state, as well as the party diligently and reechoed the call for the prompt arrest and prosecution of the culprits. Also condemning the attack, Senior Special Adviser on Inter-Party Affairs to Governor Ayade, Austin Ibok, called on the security agencies to spare no effort in bringing the perpetrators of the crime to justice. Ibok commended the swift intervention of Ayade in rescuing Essien from the hands of the hoodlums.